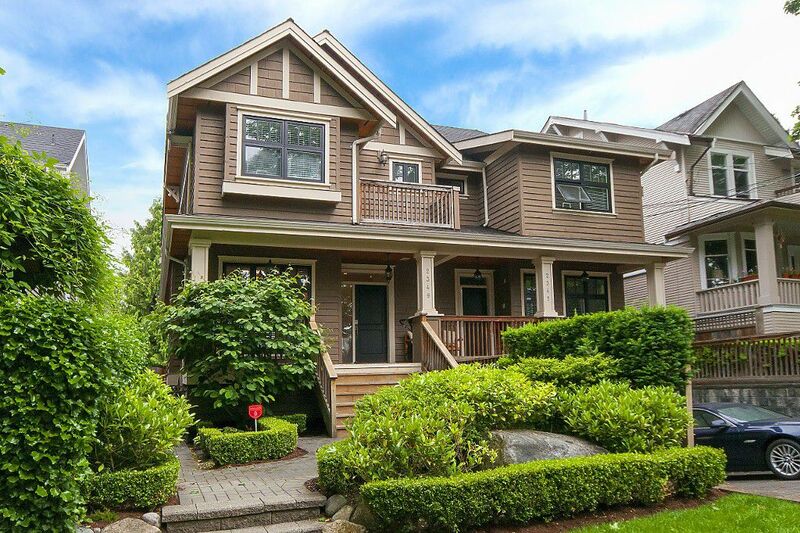 Beautiful and spacious 3 bedroom, 3.5 bathroom side by side 1/2 duplex on a picturesque tree lined street in Kitsilano. Over 2400 square feet of living in this excellently laid out entertainer's home with an open plan living, dining, kitchen, family room with high ceilings, HW floors, and a 2 piece bath on the main. Large chef's kitchen complete with lots of cupboard space, Viking apps, gas stove, and a wine fridge. The fully finished lower level with wet bar and fridge is the perfect space for a rec room or guest room and even has the potential to be a self-contained studio suite with a separate entrance & full bathroom. An abundance of storage space including a substantial crawl space. Direct access from the attached single car garage into the lower level. Three sizeable bedrooms on the upper level including a very large master bedroom with walk-in closet, intimate balcony, and spa-like en-suite with separate tub and shower. Easy access to Broadway and W 4th shops, restaurants, transit, & the beach.